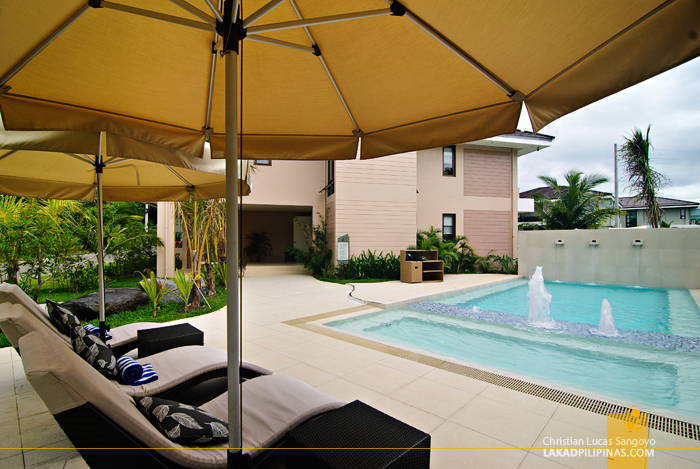 It was almost exactly a year ago when I first visited Albay’s famous for-the-rich-only Misibis Bay Resort in Cagraray Island. I was a poor boy back then and we only availed of the expensive resort’s day tour. Okay well, it was not exactly a real day tour. Let me explain. To make a long story short, we were able to tour around Misibis Bay, but were unable to experiencing its white sand beach, numerous pools, luxurious rooms and delectable dishes. I was a bit disappointed then; I thought, is this the Misibis Bay that everyone’s raving about? It looked pretty ordinary to me. And then came the PHILTOA Bicol Media Familiarization Tour. 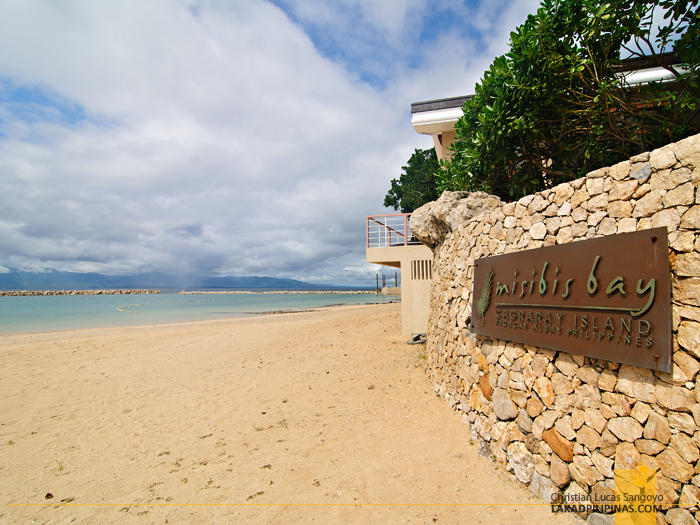 I was reading through the itinerary and saw that we’d be staying at Misibis Bay for two days. We’re actually gonna sleep at this super expensive resort. I cannot believe my eyes. I’m more than willing to give Misibis Bay a second chance. As if! har har. As grand as any entrance can get, we boarded an exclusive speed boat from Legazpi City on the way to Cagraray Island. We could’ve simply ridden our van, but no, we’re taking Misibis Bay like kids born with 24-karat spoons in our mouth. The ride didn’t take an hour. 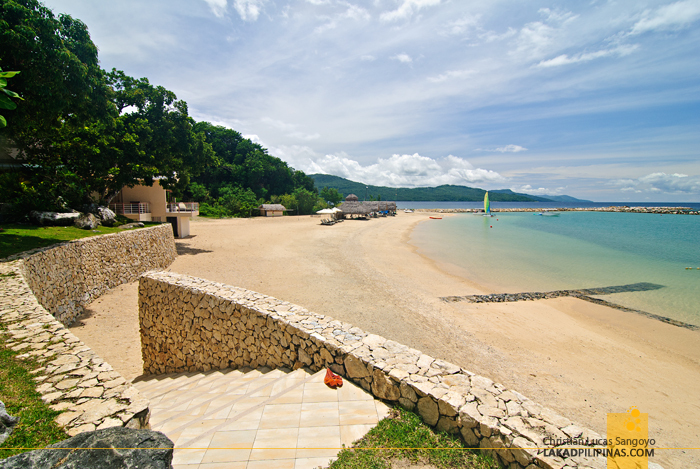 And like dons and doñas, we hopped down from the speed boat, landed on the resort’s cream-colored beach and waltzed our way towards the reception area for orientation and room assignments. While waiting for everything to be sorted, snacks and welcome drinks were brought out. 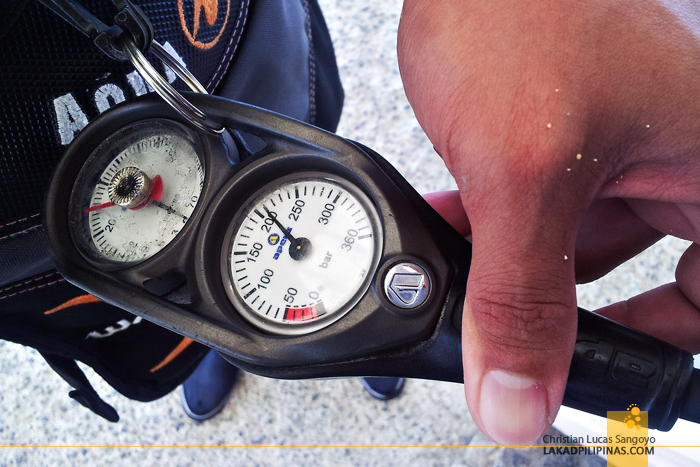 We also took the time to sign up for the activities available on the island for the duration of our stay. 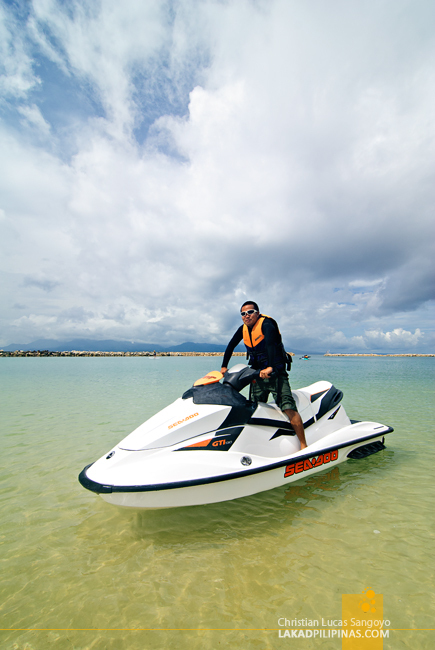 And they have a lot; sunrise ATV driving, snorkeling, segue-riding, parasailing, jetskiing, stand-up paddle boarding and a whole host of other fun water activities. But what really got my attention were their introductory dives. I have, for the longest time, wanted to try diving, but I find it to be really expensive. Here’s my chance to finally level up from snorkeling and get deeper underwater; and I get to experience it for free too! 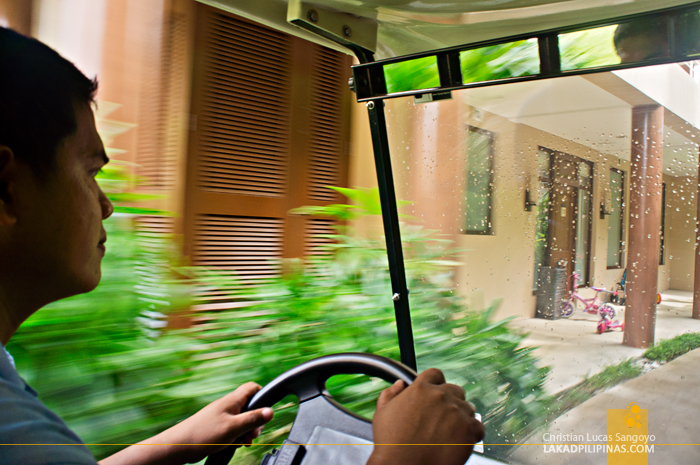 With everything set, we were escorted to our villas via the resort’s many golf carts. 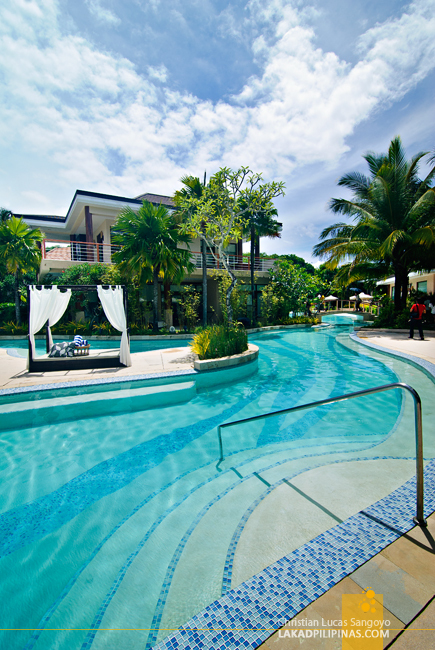 The five-hectare resort is simply too large for exploring on foot and everyone was glad that the carts are always available for guests transferring between locations. 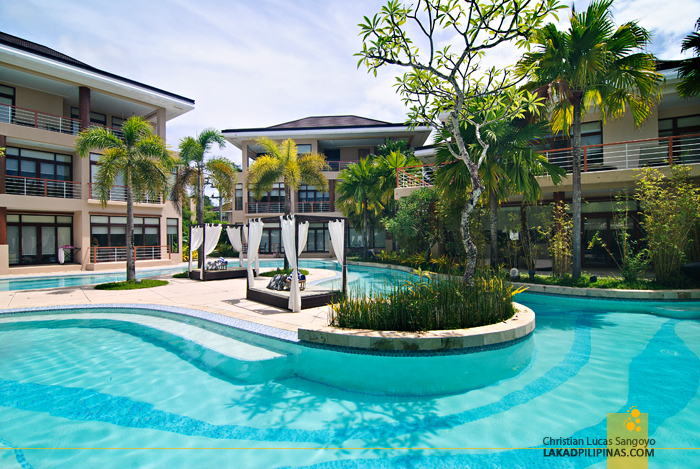 Our villa is located on the perimeter of the resort, away from the sprawling central pools. But even with the remote location, we didn’t feel isolated from the luxury of Misibis Bay at all, for right at our villa’s doorstep is our very own swimming pool. Spell exclusivity! I think they gave us one of the Garden View Rooms which cost $470.00 on lean months to $570.00 during peak season [CHECK RATES & AVAILABILITY]. That’s almost Php25,000++ for a single night, and that’s the most affordable one on their rate sheet. Unbelievable. Well, at least for a budget traveler like me. 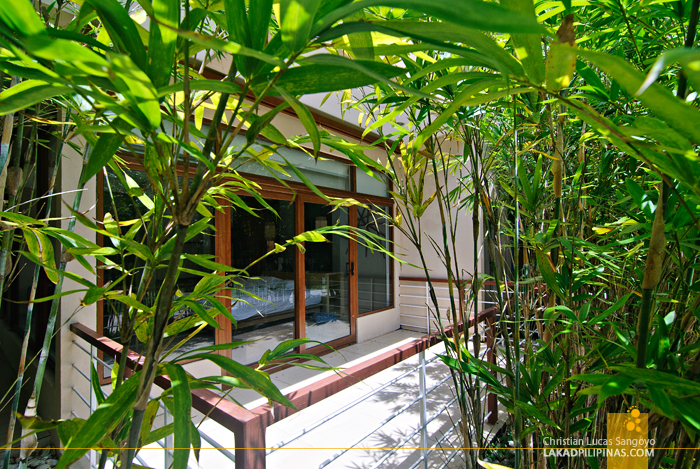 The rooms are done in clean modern style and are beautifully furnished. 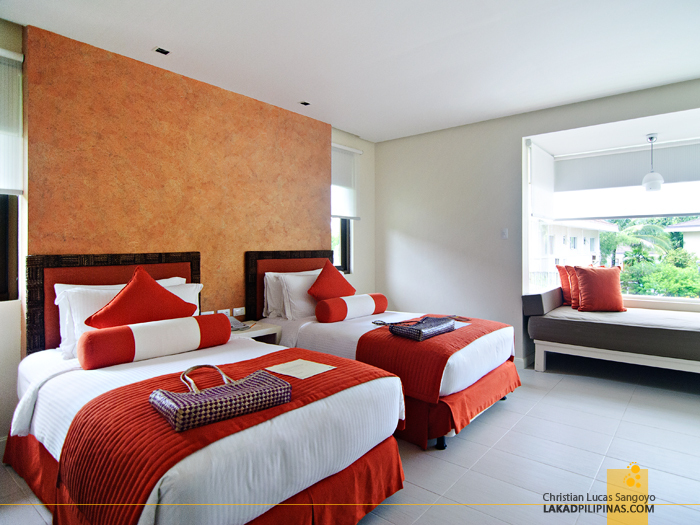 Orange accents adorn the room, breaking the monotony of whites. The part I love the most is their bay window where one can actually sleep! I would’ve slept there too if not for the super-comfortable feel of the main bed. 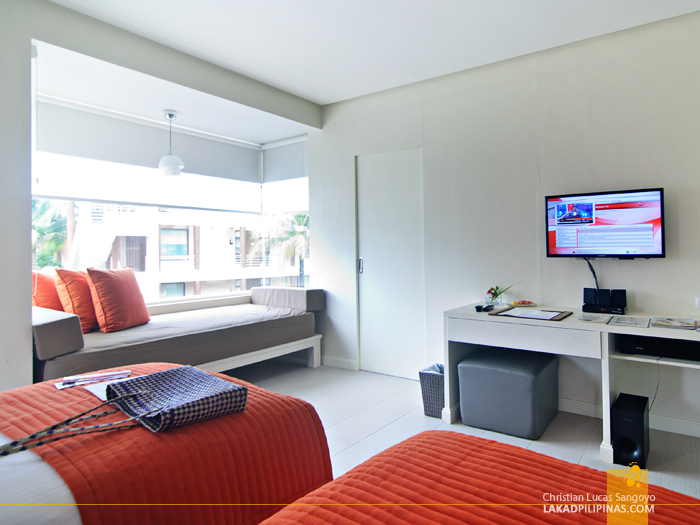 The comfort room is spacious and is subdivided into glass cubicles for the water closet and shower (rain-type, yey!). And although I know zilch about care products, the stock soap and shampoos are branded ones. 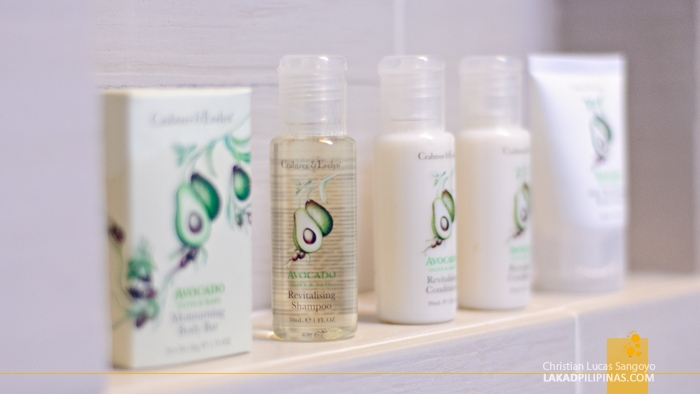 For our room-type, it’s from Crabtree & Evelyn; but it gets more expensive as your room gets more expensive. Lunch is held at the Spice Market, one of the central structures in Misibis Bay. Spice Market? 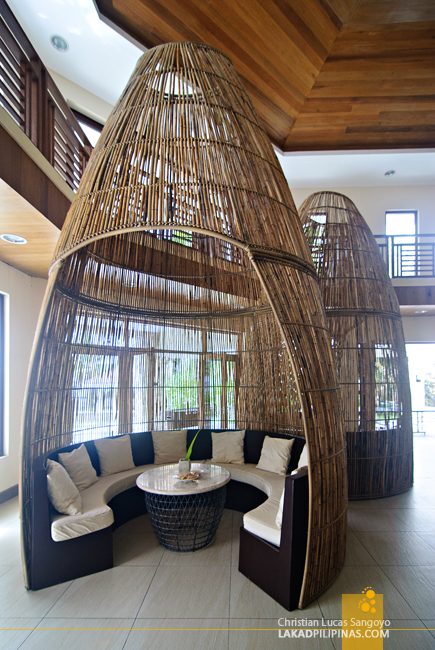 It is said to be inspired by the flavors of markets and fishing villages around Asia. The place is quite cozy and can seat a huge group of individuals. 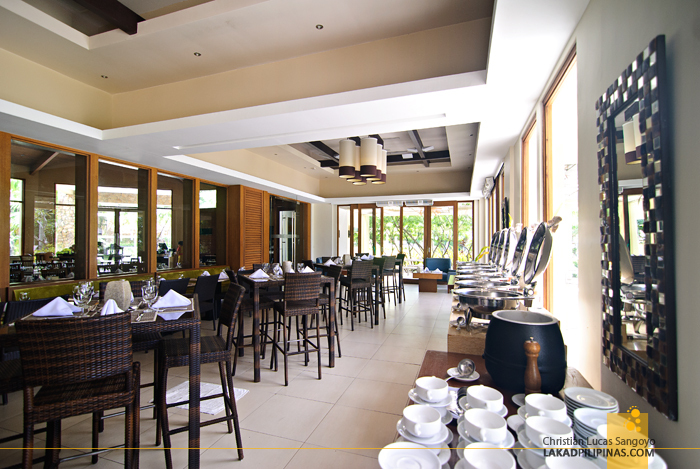 The buffet lunch range from the usual Filipino fares like menudo and kare-kare, to western affairs like steaks. Chinese siomai and siopao are also available and so are freshly grilled seafood. 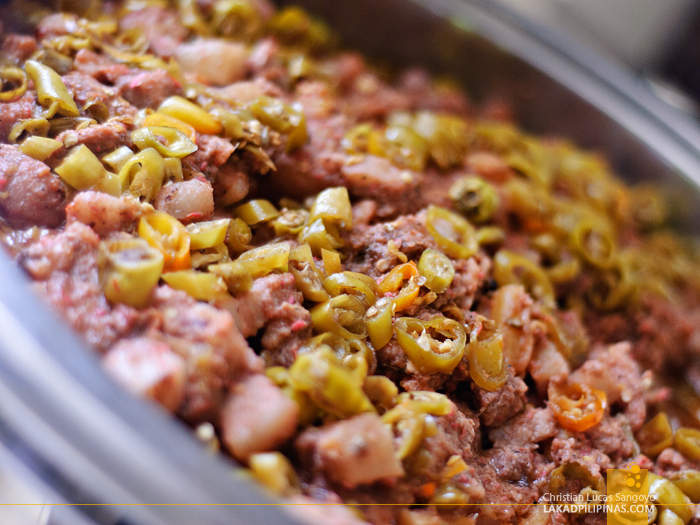 But since this is in Bicol, they serve at least one local dish every meal; and during our stay, it’s my favorite, Bicol Express. Besides the desserts bar, which I would go to in a bit; the Japanese bar is also one of the most flocked areas in Misibis Bay’s restaurant. 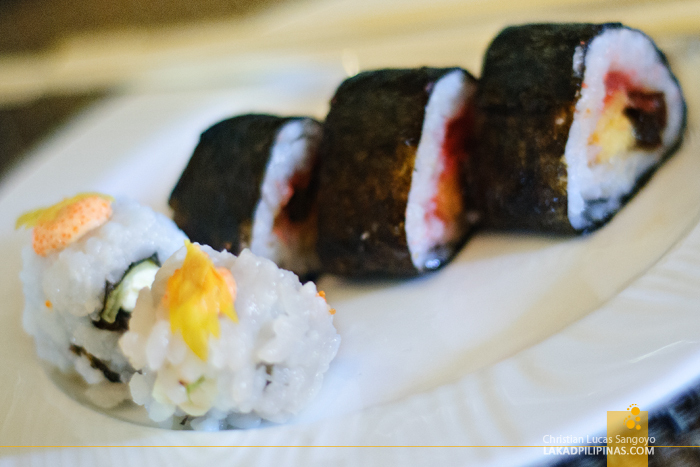 Sushi, maki and sashimi are replenished as quickly as they’re consumed. My only beef was the lack of tempura. And then we go to the desserts. 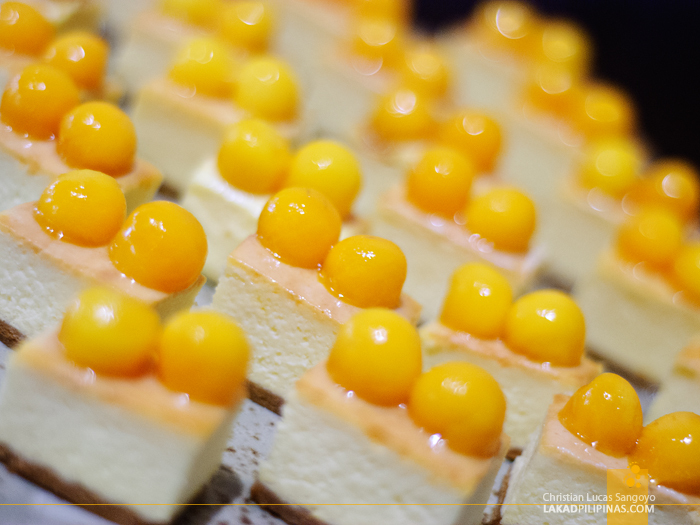 I’m not much of a fan of sweet things but Misibis Bay’s cake corner literally takes the cake. It’s nothing but decks and decks of sweet cakes. I apologize for my total lack of knowledge in anything sweet, but I swear, my lunch mates were having a field day going back and forth for multiple servings. Eating for more than an hour is hard; so after a bit of rest, the group flocked to the beach for some R&R. 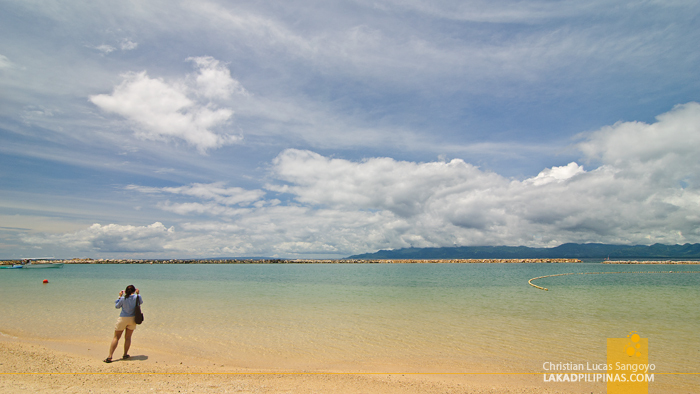 One thing Cagraray Island really doesn’t have are fine white sand beaches. 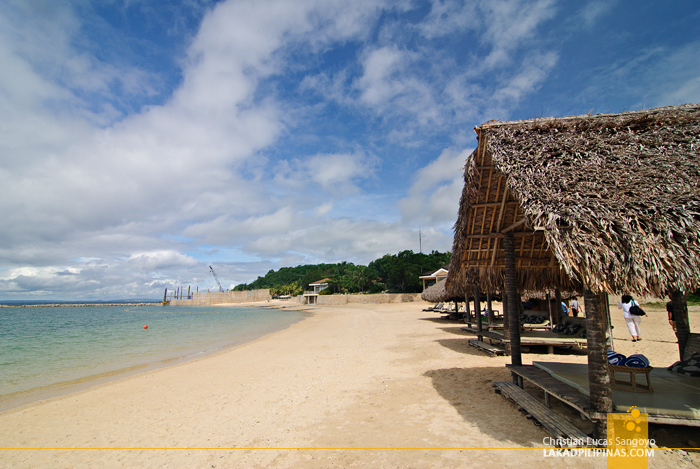 To solve this, Misibis Bay imported sand and paved a portion of their shore with creamy goodness. 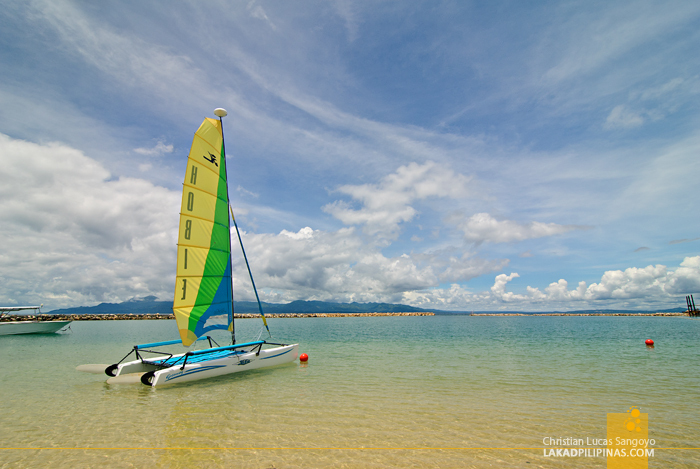 Besides running around, frolicking in the sand and swimming on the crystal clear waters of the beach, guests can also get sporty and do some water activities. I picked the jetski even though I don’t have any inkling on how to operate one. After a quick guided drive around the island, I felt I could’ve gone over the land over the horizon if not for my guide’s insistent warnings. The sun was almost ready to set when we packed our beach towels, it was time for cocktails. 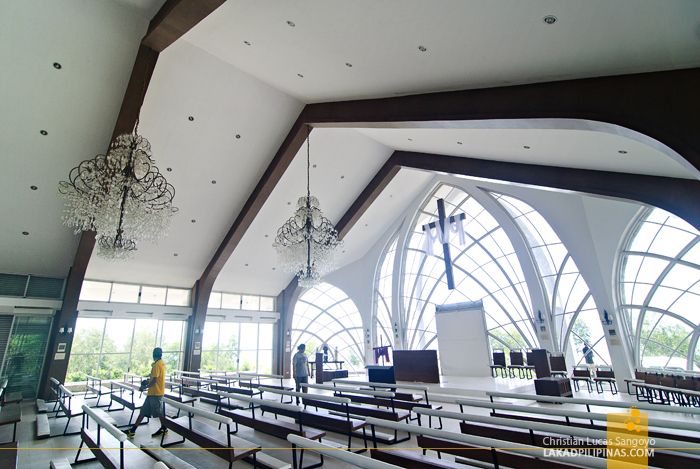 But before that, we checked out the modern chapel sitting atop the islands higher grounds. Apparently, it was made specifically for weddings and other Christian rites in Misibis Bay. No Sunday mass though. After ruminating our excesses, it was cocktails time! 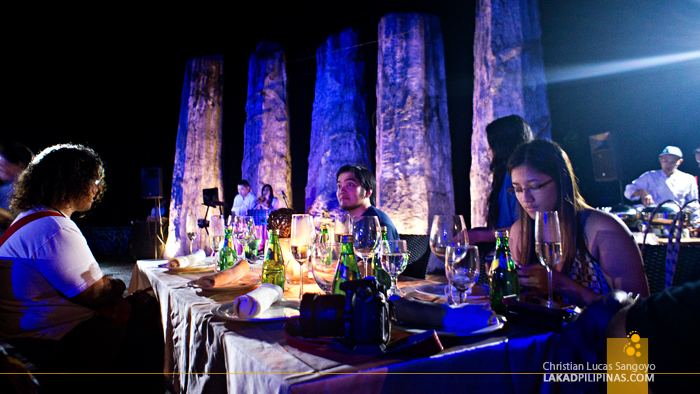 But this is no ordinary cocktail with snazzy-dapper outfits and darkened posh halls; we’re having it on one of the mountains overlooking Albay! Fun! Pica-pica were picked and drinks were passed around. But I’m not really a cocktail person. Good thing there were beers available and the fun began in earnest. 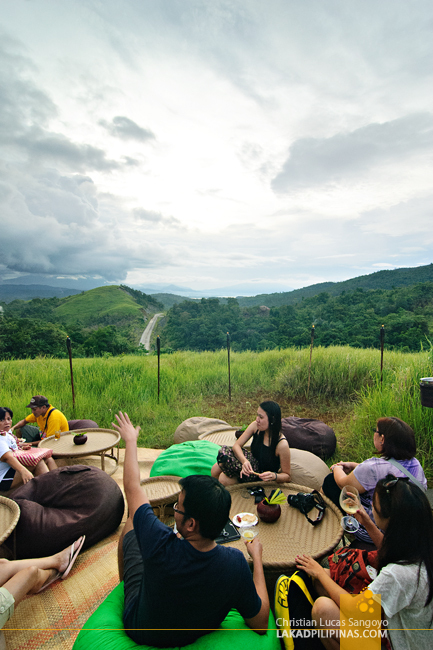 A mat was spread through the grass and stories about the past few days across the Bicol Region quickly spilled through. 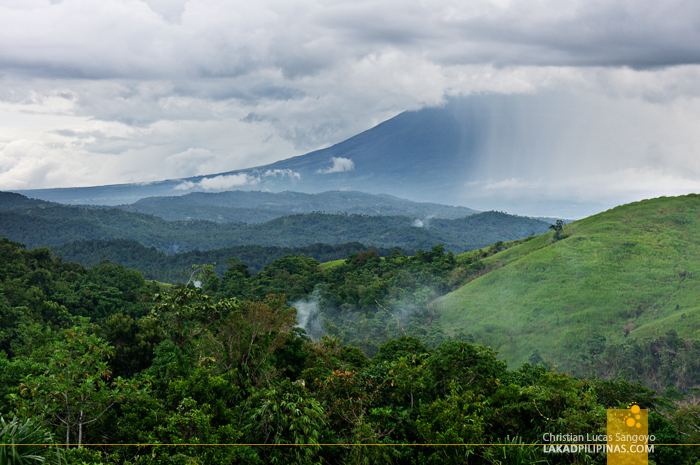 From the horizon, we could see rainclouds swallowing the upper portion of the Mayon Volcano. A few minutes later and the haze of a massive rain shower covered half the volcano. There would be no sunset for us, but we’re happy nonetheless—we have beer and mixed alcohol after all! 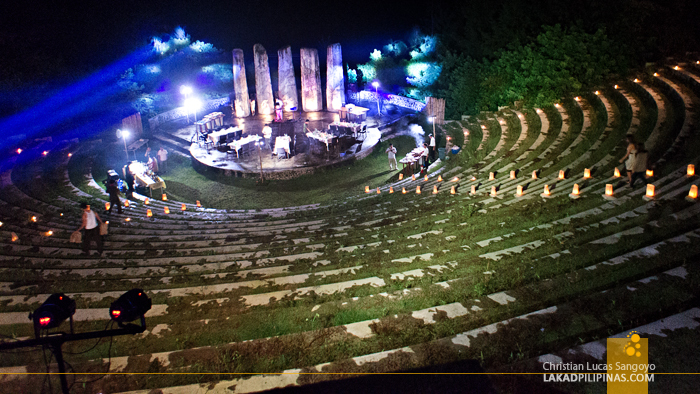 A few hours later, and we’re being led to Misibis Bay’s romantic Amphitheater. It’s eating time again, and our dinner’s gonna be a special affair; we’re dining under the stars—or in this case, under the clouds. 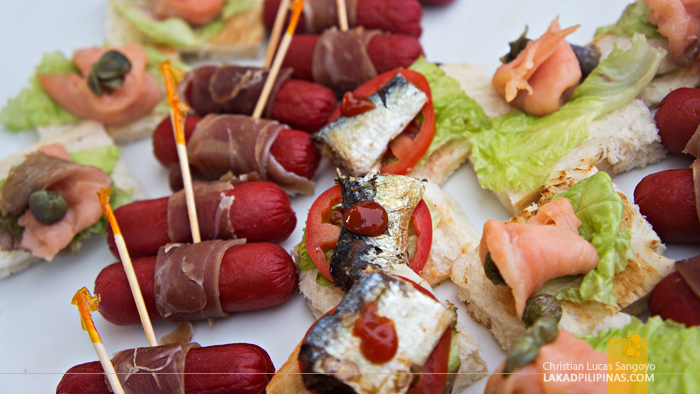 Smoky grilles were set up and the buffet tables were filled with food; wines were poured and a band started to play. We can all tell this was really going to be special. 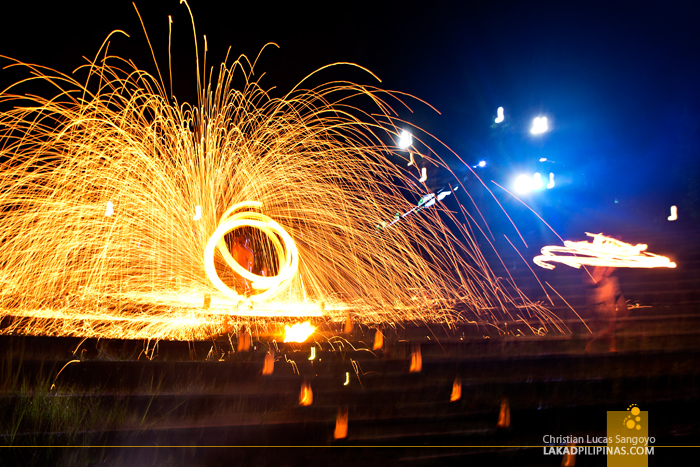 And just as we thought everything was already perfect, a couple of fire dancers lit the evening with their fiery moves. Sparks flew to the ooohs and aaahs from the crowd. Everyone stopped on their tracks and watched as the couple swung their scorching lamps and shook their booties. The excitement died down as the last embers of the fire dancers turned to smoke. It was one heck of a day at Misibis bay; from our royal speed boat arrival, our five-figure room, the pools, the never ending food, the water activities, the azure beach, the special cocktails and finally our grand dinner. I can still remember my first visit and how different it was from what I experienced now. I’m still the budget traveler that visited Albay’s Misibis Bay a year ago, but my passion in doing what I do led me here again. This time, I got the whole deal. This is by far the most luxurious resort I’ve been to and I’m loving every moment of it. I still can’t believe we still got a whole day of Misibis Bay tomorrow! Ganda ng setting ng cocktail party nyo. Thanks Christian for sharing these glimpses of luxury I can't afford. hehehe! Great photos as usual bro! Nice Cesar! How much was the promo you got? It was around 18k for 3D/2N stay at one of their Garden Rooms. Pretty sweet deal actually.